In this sometimes bland, beige world one we often reach out for relief or contrast. For the times when one colour just isn’t enough. 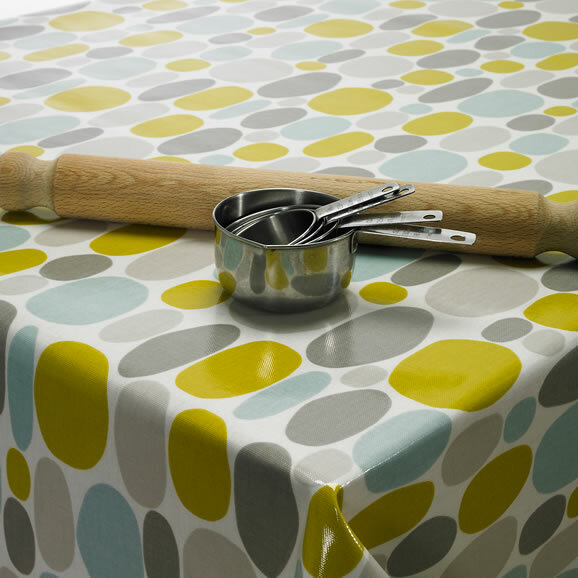 We have a large range of multi colour PVC tablecloths in stock. Our multi colour tablecloths can be cut round, square or rectangle and are perfect for trying to merge multiple colours into an eclectic look. With a wide range of multi colour designs in stock, you can choose from duck egg, sage, taupe or grey - we are certain to have a design for you. Appealing to dog-lovers and none dog lovers alike. This Woof Wipe Clean Tablecloth is so much fun it will apeal to the whole family.